2017 Vauxhall Insignia Sports Tourer review - price, specs and release date | What Car? 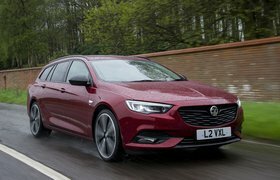 A few months after driving this car’s hatchback brother, it’s no surprise to find ourselves standing in front of the estate-shaped Vauxhall Insignia Sports Tourer. 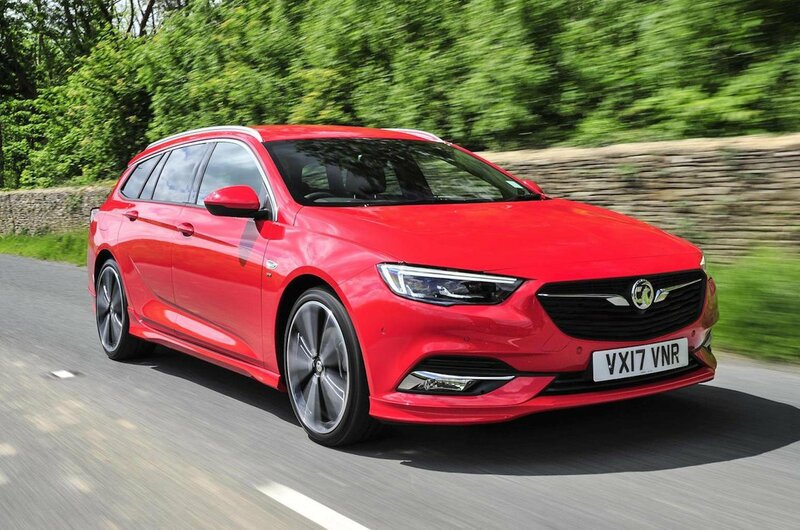 Like the Insignia Grand Sport, it’s a bigger car than its predecessor to give a bit more luggage space and a lot more room for rear-seat passengers. 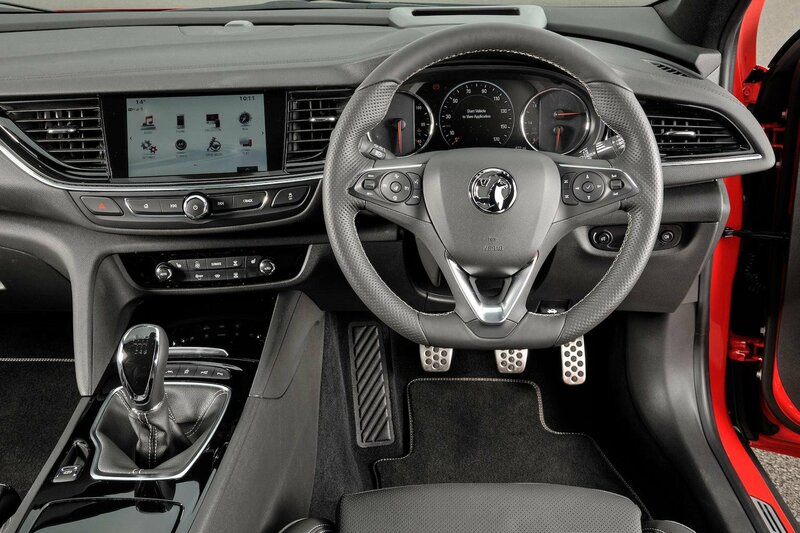 The engine range mirrors that of the Insignia hatchback, with a 1.5-litre petrol in two states of tune kicking off the range, a 1.6-litre diesel again with two power outputs, followed by a 2.0-litre diesel with, you’ve guessed it, a low- and high-powered variant. At the top of the range is a 256bhp 2.0-litre petrol that comes with an automatic gearbox and four-wheel drive. Today, we’ll be looking at what is likely to be the biggest seller, the more potent 1.6-litre diesel with 134bhp in mid-spec SRi Nav trim. We know it’s a lot of car for not much money, but does the Sports Tourer’s appeal run deeper than that? If there’s one thing any car such as this should be able to do well, it’s cruise comfortably. Initially things seem promising, with soft suspension able to deal with crests and compressions in a comfortable manner on smooth roads. On a well surfaced motorway, it’s a pleasant place to spend time. As soon as you go over a rougher patch of asphalt, though, things start to fall apart. The first thing you notice is that the suspension can be quite noisy as it goes about its business. 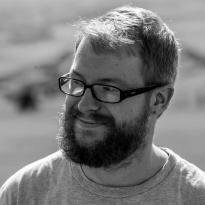 You then notice that the car moves around, fidgeting over scraggy surfaces and getting thrown off line by mid-corner bumps. Even if the road does appear smooth, road roar is a constant companion that will have you reaching for the stereo’s volume control. It’s a shame because the engine is actually quiet for a small-capacity diesel, if not as refined as the less powerful 108bhp version of the same engine. In terms of power, it comes in strongly at relatively low revs but runs out of puff above 3500rpm. There’s easily enough punch to deal with everyday driving duties, but you have to work it hard if you want to get up to motorway speeds briskly. Even so, we doubt there’s much point upgrading to the bigger 2.0-litre diesel unless you plan to tow or carry heavy loads regularly. The soft suspension also causes noticeable body roll in corners, although overall grip levels are high. We have few complaints about the steering, thanks to its natural, consistent weight build-up as you turn the car in to a corner and good high speed stability that means you won’t be making lots of little corrections on the motorway. 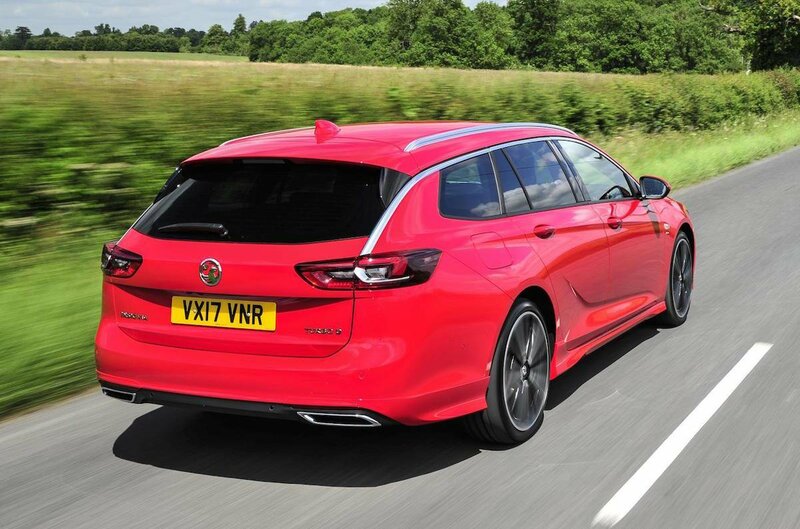 If you’re used to the old Insignia Sports Tourer, the new car will feel like a big step forward inside. There’s a good spread of soft-touch plastics in the areas you interact with most and the lower driving position means you feel like you’re sitting in the car, not on it. Look closer and you will find cheaper materials lower down the dash, but these aren’t too noticeable. Yes, rivals such as the Skoda Superb do feel of higher quality still, but then they do cost thousands more. It’s also worth noting that you get plenty of standard kit including a touchscreen infotainment system with Apple CarPlay and Android Auto smartphone mirroring technology, dual-zone climate control, automatic emergency braking and twin USB sockets in the rear. Those in the back have loads of leg room and plenty of head room. You’d need particularly tall friends for them to start grumbling on anything but the longest of Continental hauls. You’ll also have space for more bottles of your favourite plonk than in the old Insignia. Indeed, boot capacity with the seats up increases by 30 litres to 560 litres, although this is still some way behind the cavernous VW Passat and Skoda Superb. Still, the space is uniform in shape with a low load lip and a rear bench that is easy to fold thanks to handily placed levers within the boot.